Have you heard the buzz about the dirty dozen? These fruits and veggies have gotten a bad reputation and consumers are being told to buy them only when organically grown. But is this fear justified? Let’s get down to business and discuss pesticide residues. Every year, the USDA does a pesticide ‘audit’ on U.S. produce, milk, and eggs. In response to USDA’s Pesticide Data Program report, the Environmental Working Group re-interprets the USDA data and maligns healthy produce. They identify the top fruits and vegetables that contained the highest amount of pesticide residue. This is otherwise known as their “dirty dozen.” On the list are some of the consumer’s favorite and healthiest foods: strawberries, spinach, nectarines, apples, grapes, peaches, cherries, pears, tomatoes, celery, potatoes, and bell peppers. 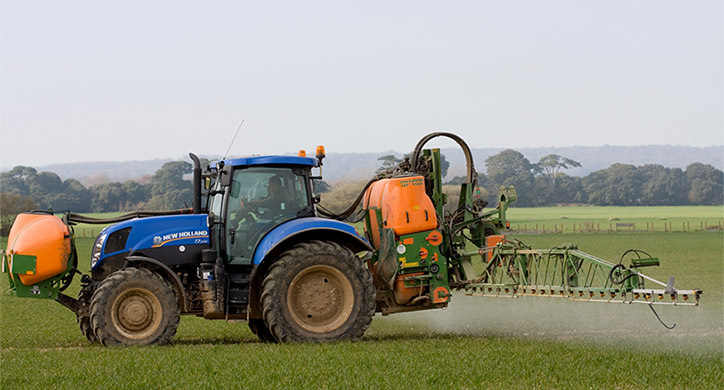 Pesticides are chemicals tactically applied to conventional and organic crops to protect from insects, rodents, weeds, and types of fungal growths. 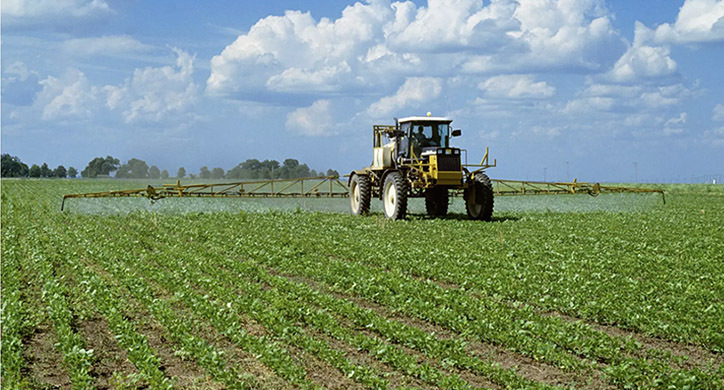 The use of pesticides must be documented by farmers and is regulated domestically by the U.S. Environmental Protection Agency and Food and Drug Administration and by government agencies worldwide. 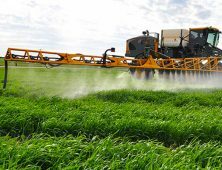 Why is the Environmental Working Group claiming that 70% of the conventional crops tested were contaminated with pesticide residue? And what are their credentials? And to be clear, there were no independent tests performed by the EWG in response to the USDA Summary. They simply analyzed the USDA data to present their own claims, which seriously mislead consumers. 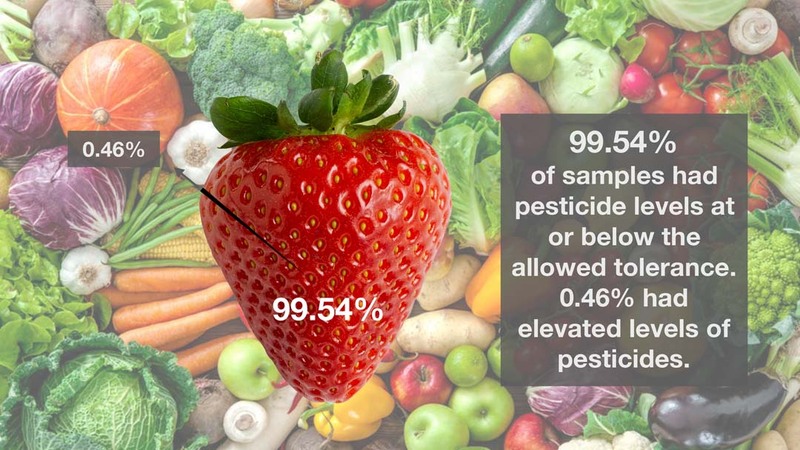 The USDA’s Pesticide Data Program consistently shows that 98-99 percent of the fruits and vegetables monitored do not exceed safety limits set by the EPA and, in most cases, the residues levels found are only a fraction of the allowable levels, well within safety limits. It is no secret that pesticides are used in both organic and conventional agriculture. So, when the EWG says that 70% of the crops tested positive for pesticide residue, they are right! But what they fail to mention is that the levels of residue are at or below the acceptable tolerance. 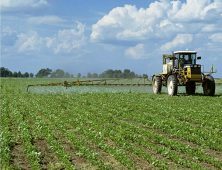 To be sure, the EPA’s approval and registration process for pesticides, herbicides, and fungicides are very comprehensive and stringent. As part of that process, the EPA evaluates whether a chemical affects human health (hazard) and the levels that humans consume on food products (exposure) to assess the risk to human health and the environment for requested uses. 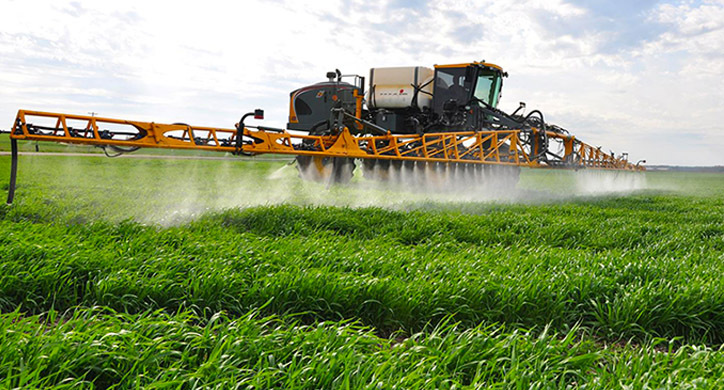 Once a chemical is approved for use, there are very strict handling, application, and crop harvesting requirements. 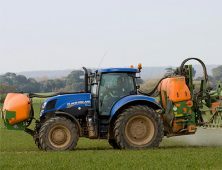 Additionally, in order to be extra cautious, the pesticide tolerance levels are set to include a wide margin of safety. In setting the tolerance level, the EPA determines the pesticide dose where no health effects were observed and then lowers that value by adding safety factors to address situations like susceptible populations such as children, the elderly, and immune-compromised consumers and other issues. As the findings stated, 99.54% of all residues were well below tolerance levels and 23% of samples had no detectable residue at all. This means our food is safe. In the USDA report, 99.54% of 10,365 samples had pesticide levels at or below the allowed tolerance. 0.46% of these samples had elevated levels of pesticides. Calculating the math, 0.46% represents 48 samples out of 10,365. Let’s take a look at strawberries, for example. Conventionally grown strawberries are one of the most frequently cited crops with respect to pesticide use. 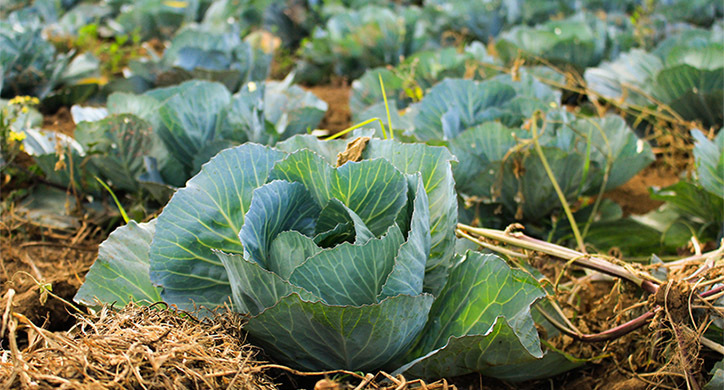 They are a permanent fixture at the top of EWG’s dirty dozen and often discussed in the news as being one of the most pesticide-contaminated crops. Of these 48 exceeded residue samples, 3 were strawberry samples that exceeded the EPA’s 0.50 ppm tolerance level. The exceeded samples were 0.89 ppm, 0.55 ppm, and 0.52 ppm. That’s less than 0.0001% over the EPA’s legal limit. To put this into perspective, 1 part per million is 1 grain of salt in an 8 oz. cup of sugar. And as we previously mentioned, the EPA tolerance levels leave a large margin for what is actually toxic to humans at high levels of consumption. So, while it is true that this produce list had slightly higher pesticide residue than the other fruits and vegetables included in the study, this does not mean that they are not safe for consumption. The USDA performs these studies and reports their results to ensure the safety of our food supply, both domestic and imported, for U.S. consumers. The reports organized by the EWG present conventionally grown produce in a terrible light. It makes the produce seem dangerous and the farmers that grow these fruits and vegetables sound negligent in their use of pesticides and in their stewardship of the land. It also leads the consumer to believe that organically grown produce is much safer. When in reality, there is growing concern over what has been dubbed the “the dirty organic dozen” in response to organic product recalls due to various food safety issues. Additionally, two peer-reviewed studies have been conducted to measure the consumer damage that is done by the reports generated by the EWG. Both studies reported that fear-based marketing of produce discouraged consumers from buying any produce at all. This was particularly true with low-income consumers. Currently, only one in ten Americans eat enough fruits and veggies daily and fear-based marketing of produce only serves to discourage this already low number. The USDA summary proves the safety of our conventionally grown produce. You do not need to worry about the trace residue present on your favorite fruits and vegetables.